The three As – Acquire, Analyze, Apply – relate to the three Biblical tools of learning. 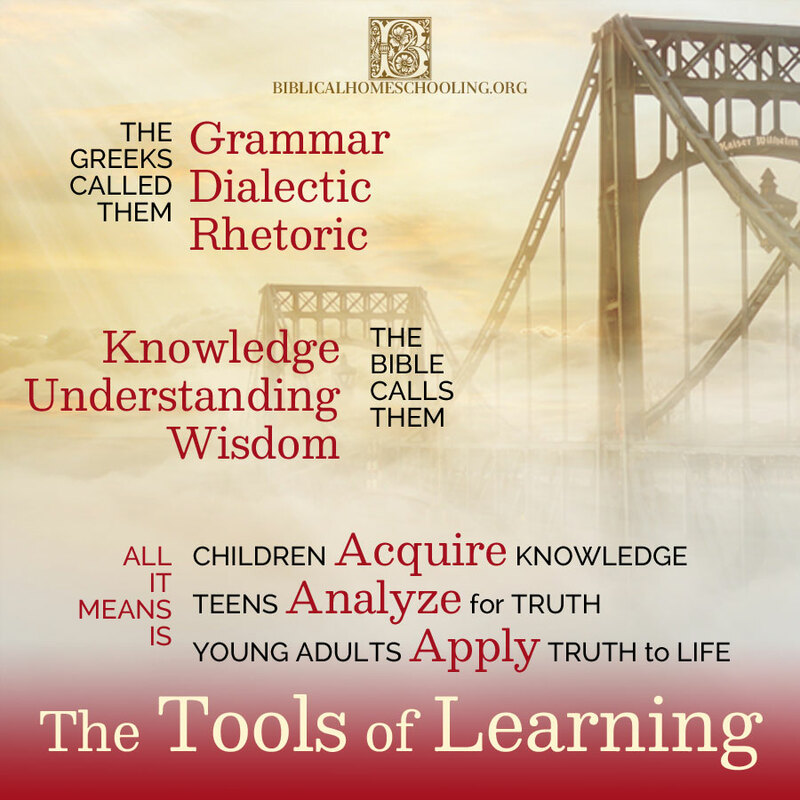 Children acquire knowledge (the Grammar stage), teens analyze that knowledge for truth (the Dialectic stage) and gain understanding, and young adults apply truth to real life decisions and current events (the Rhetoric stage) to walk in wisdom. It is really that simple of a concept, although it is a lifetime endeavor which does not stop with high school graduation.